Groton, CT – BauerFinancial, Inc., the Nation’s Premier Bank Rating Firm, is pleased to announce that Chelsea Groton Bank has once again been awarded its highest 5-Star rating for financial strength and stability. Earning a 5-Star rating indicates this bank excels in areas of capital adequacy, profitability, asset quality and much more. Earning and maintaining this top rating for 99 consecutive quarters makes its status indisputable as one of the Top 10% of banks in the nation in terms of its strength. This “Sustained Superiority” designation is reserved specifically for banks that have earned Bauer’s highest rating consistently for longer than 90% of the industry. 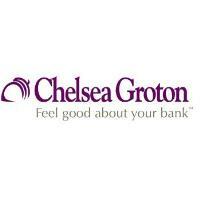 Chelsea Groton Bank has been making its neighbors its number 1 priority since 1854. Today, after 165 years, it is creating a better banking experience for customers through several conveniently located branches throughout New London County, a loan production office in Hartford County, and online at chelseagroton.com.